Salman Khan’s much awaited family entertainer Prem Ratan Dhan Payo has hit the big-screens today on 12th November 2015 in record number of screens in India and worldwide, and PRDP is set to take a massive opening of around 40 Crores. Distributors and Exhibitors across India, Prem Ratan Dhan Payo will open to Salman Khan’s biggest opener till date. PRDP is also likely to surpass the opening day collection of ‘Happy New Year‘ which is 44 crores. The 4-day weekend will be an added advantage to perform at the box office. 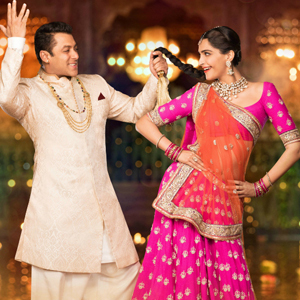 Prem Ratan Dhan Payo marks the comeback of Salman Khan with director Sooraj Barjatya after 16 long years, while Sonam Kapoor, Neil Nitin Mukesh, Anupam Kher and Swara Bhaskar joins them in this emotional dreams in pivotal roles. The film is produced on Rajshri Productions with soundtrack by Himesh Reshammiya, Sanjoy Chowdhury.